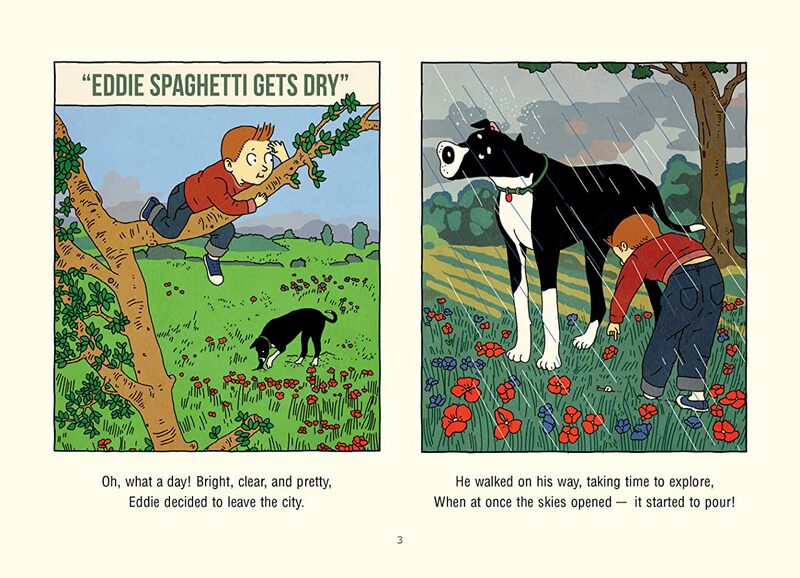 Eddie, accompanied by his big goofy dog, goes fishing in his goldfish bowl, saws the legs off a too-high table, and takes a bath with his clothes on! 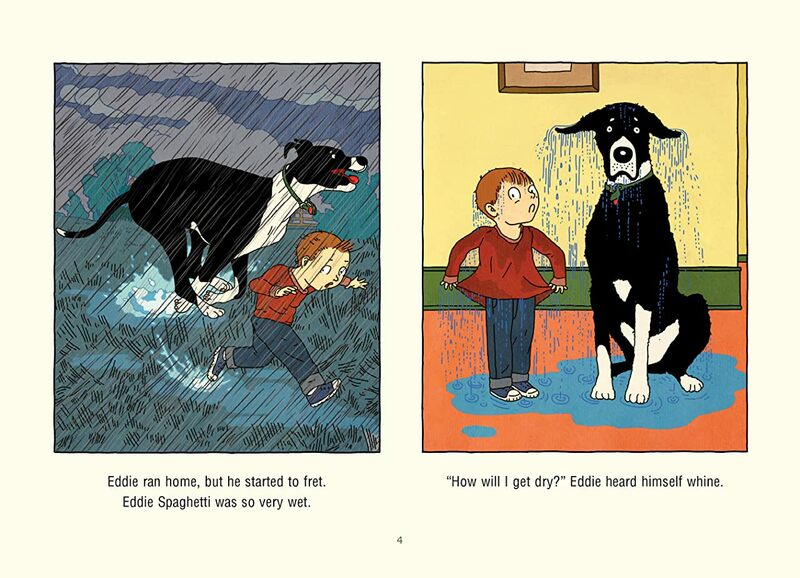 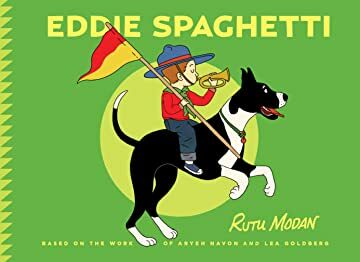 The bright colors, lively drawings, and sing-songy rhymes will delight young readers as they follow along Eddie’s lighthearted mischief. 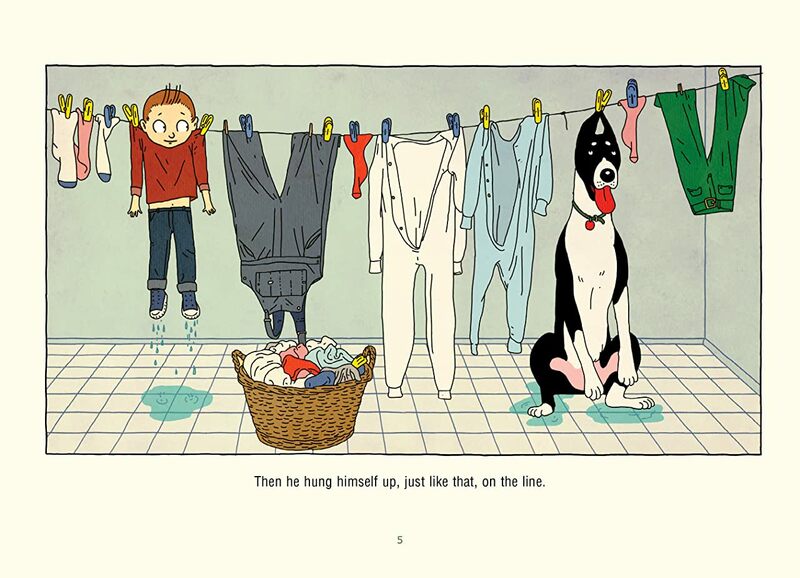 Originally created by Israeli artist Aryeh Navon and Lea Golberg in the 1930s, Rutu Modan offers her own playful take on this classic character for a new, international generation of young readers.